How many requests does your recursive DNS resolve per day? What does irregular DNS traffic look like? 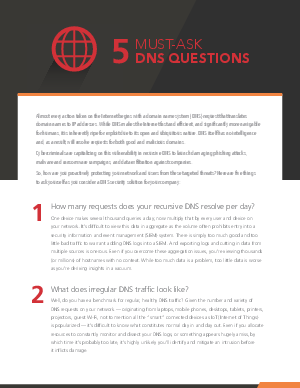 Do you know that recursive DNS can be used to exfiltrate data from your enterprise? Can you apply policy to block malicious activity across your entire company in seconds? Is DNS part of your layered security system? Proactively protecting your recursive DNS from targeted threats is imperative, and incorporating a cloud solution like Akamai’s new Enterprise Threat Protector into your security stack is now easier than ever.